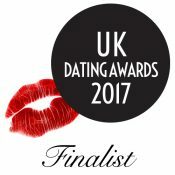 Our dating agency in the South West London area has members in Twickenham, Richmond, Ealing, Staines and surrounding areas. We have matched many members and created many happy couples, including weddings and engagements. We have a 70% success rate for matching couples. Please take a moment to read Our Testimonials. You can read more about us at Matchmaking & Dating Agency or see what your investment is at Membership Options. Full and Taster Members can opt for a professional photo-shoot with one of our professional photographers at our preferential rates. Photo-shoots take place in the local area or London, so you could make a day of it shopping and sight seeing. All Bespoke packages include the professional photo-shoot. 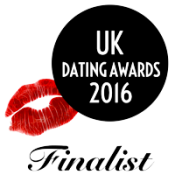 Members also receive a one on one coaching session with one of our dating advice experts. This helps to prepare you for dating with renewed confidence, especially if you’ve not dated for a while. Once your profile is complete and you have approved it, you are ready to start dating in Middlesex and surrounds. We match you with eligible, like minded singles who hold the qualities and values you seek in a person. Whether you decide to come alone or with a single friend you will always be made to feel welcome as we provide a host to meet you and to introduce you to the other guests. What makes us so different to online dating? To see our affordable South East Dating Agency and Matchmaking prices please visit Membership Options.